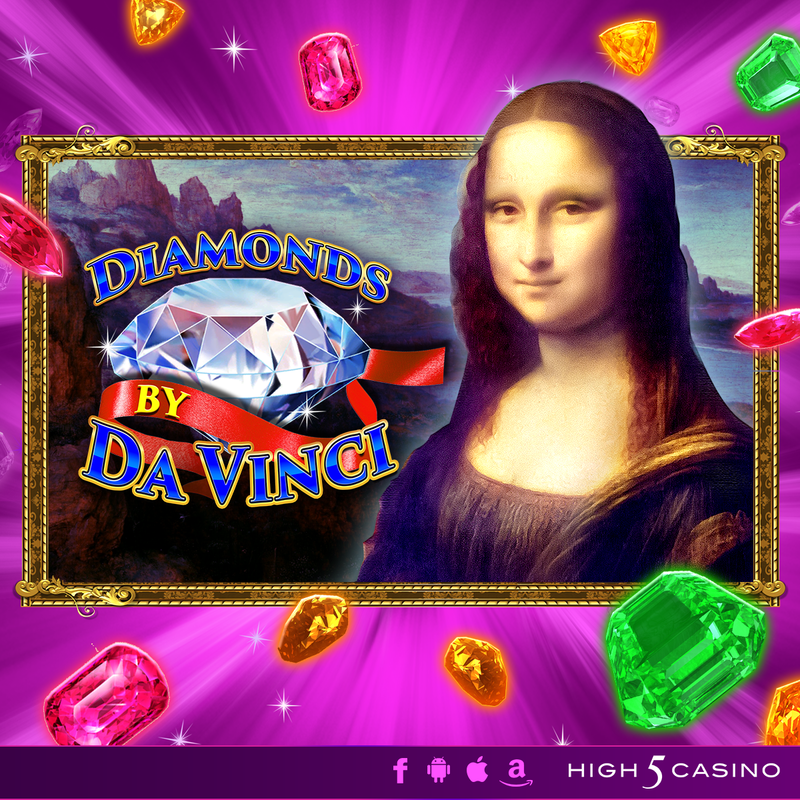 Your first clue comes tomorrow in High 5 Casino’s 266th game, Diamonds by Da Vinci! After years of studying the historical and stylistic contexts of Da Vinci’s art, you have noticed something that has not been mentioned in any of the art history readings. Seeking to reveal the truth behind your findings, you travel to the museums in Paris, Milan, and Krakow in order to get a closer look at these world-renowned paintings. While analyzing the famous works of art, you unveil cryptic clues that lead you to discover a hidden masterpiece known as Diamonds by Da Vinci! Discover a hidden masterpiece with Tumbling Reels and Random Bonus Triggers! Comment in the conversation bubble located on the top right corner of your screen and let us know what you think! Take a new spin on a classic! Amass a growing collection of masterpieces! High 5 Casino’s 237th game, Triple Double Da Vinci Diamonds arrives soon! Triple Double Da Vinci Diamonds takes a new spin on a classic! Become a Renaissance artiste as you hit bedazzling wins and enjoy the strikingly magnificent gameplay. Master the art of winning with not only Split Symbols, but also with Triple Symbols, Tumbling Reels, and more. The Spin-crease feature unlocks symbols that are more valuable the more you level up! Triple Double Da Vinci Diamonds. Check the YouTube video below and get ready to immerse yourself in bedazzling wins and magnificent gameplay! Are you ready to play the brand feature, Spin-crease? Comment in the conversation bubble located on the top right corner of your screen and let us know what you think!